A Lidl Surprise (but not the nice kind)! 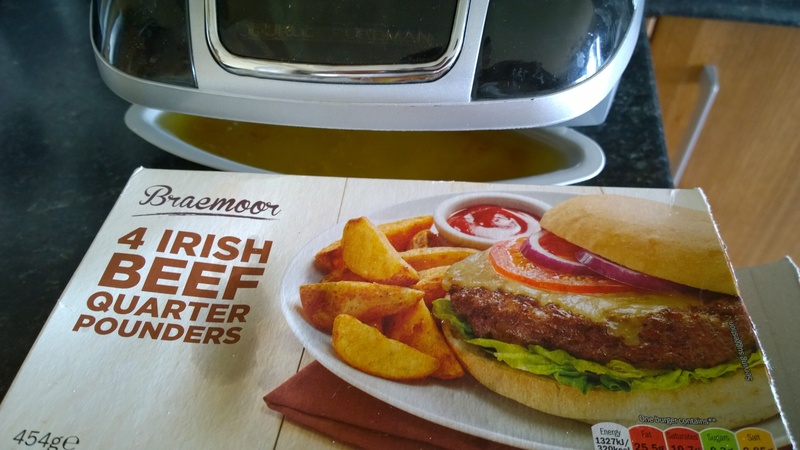 I was quite astonished recently when cooking some Lidl burgers on my George Foreman to see the amount of fat which dripped into the plastic tub. As you can see from the photo, I almost thought that I was going to need a bigger fat-catcher! On closer inspection, the burgers turned out to be 35% fat, which leaves room for not much else. You can probably guess that the burgers emerged from the GF significantly smaller than when they entered. Jeremy Corbyn’s half-hearted criticism of Islamic State and comparison of their barbarism to the USA’s military action in Fallujah once again illustrates the inconsistency and blind spots of the extreme Left. Like George Galloway, he seems quite capable of cosying-up to, or overlooking the “faults” of, those who are perpetrating the most appalling crimes against humanity. He either has a poor grasp of English or no sense of proportionality, no comprehension of the real evils that are lurking in this world and threatening to engulf civilisation. According to the “Left Foot Forward”, this is only one instance of many where Corbyn is failing to take a stand against terrorism. Whilst there is much to commend in his commitment to re-energise the state to tackle the fundamental problems dogging Britain, his grasp of international politics and basic ethics makes him a truly frightening prospect for leadership of the Labour Party and Prime Minister in-waiting.